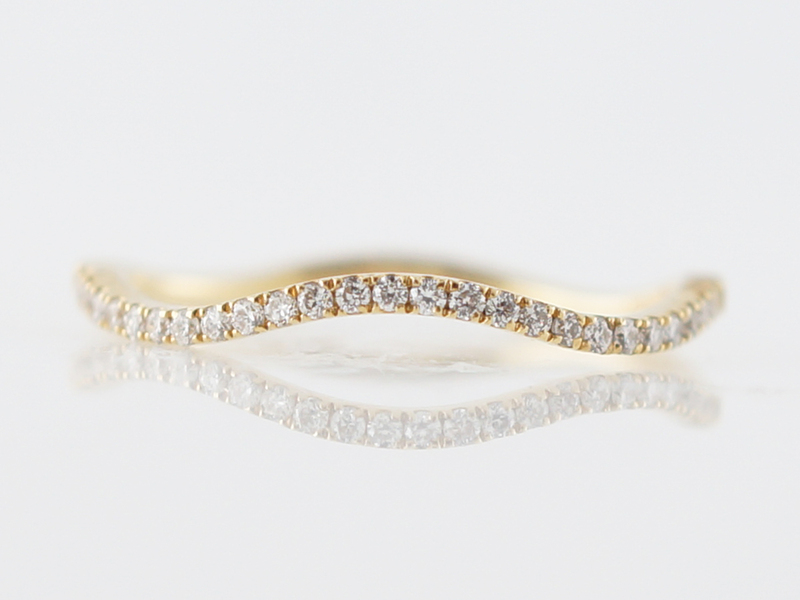 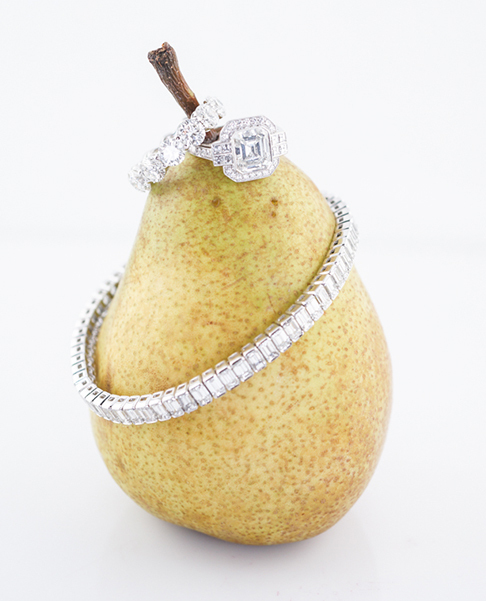 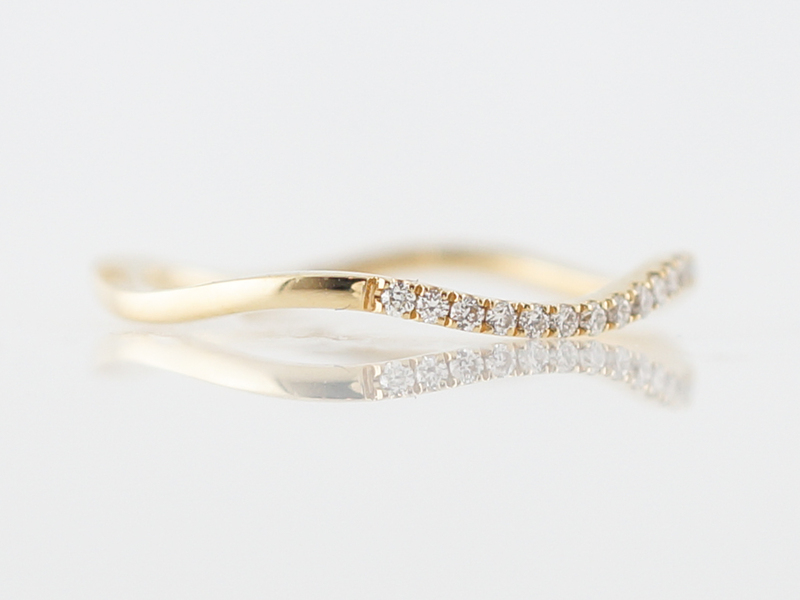 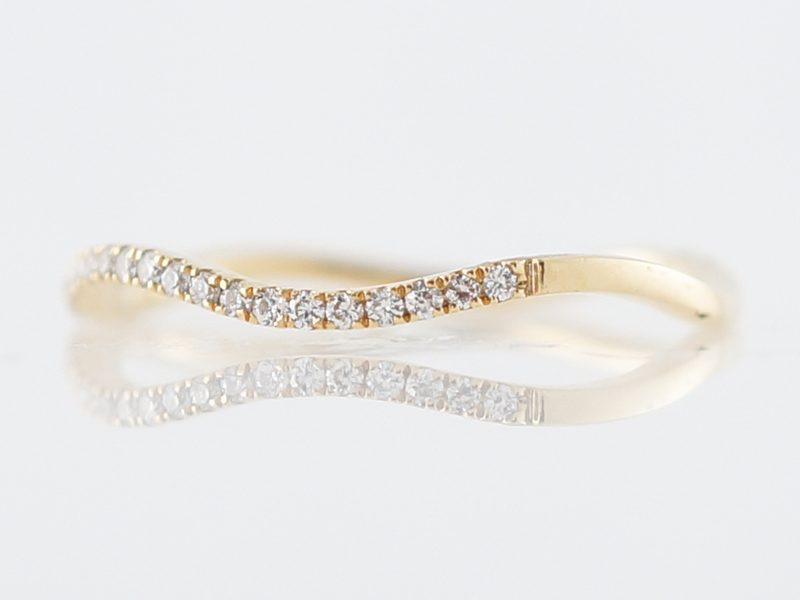 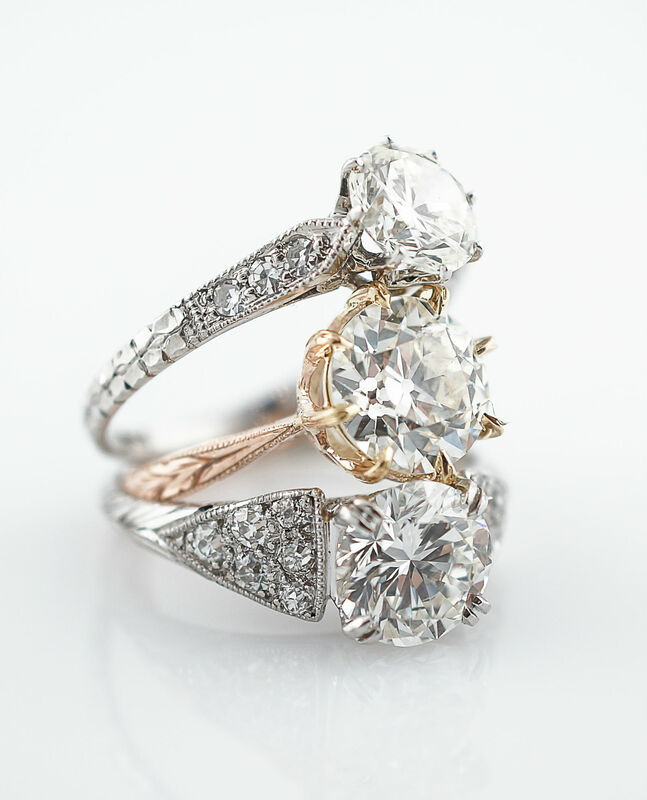 Yellow gold and diamonds offer a brilliant and perfect balanced contrast. 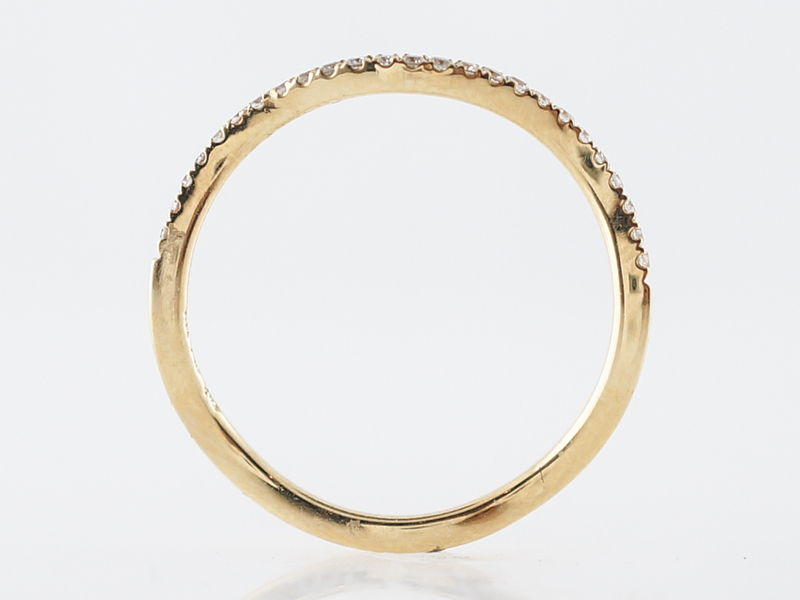 This modern wedding band is made of 18k yellow gold and includes 25 round brilliant cut diamonds set with shared prongs for a total diamond weight of .14 carat. 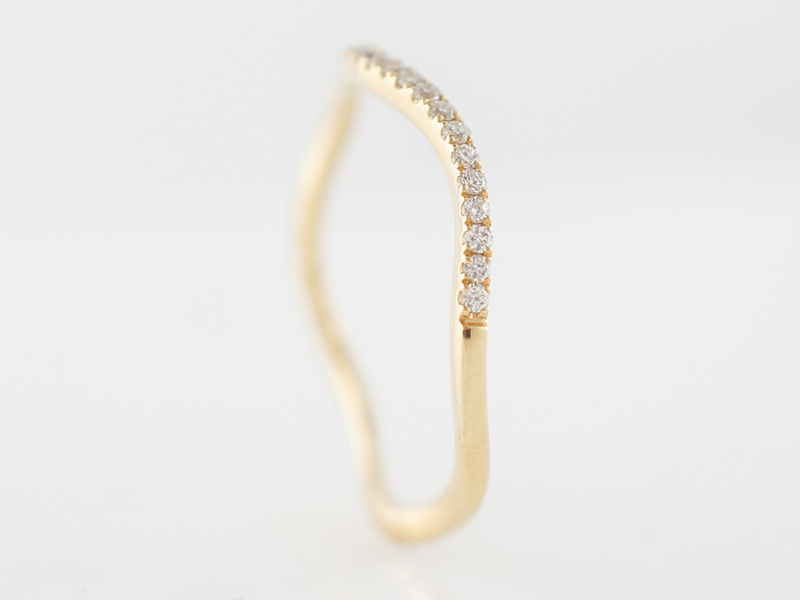 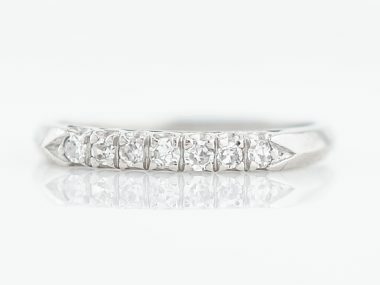 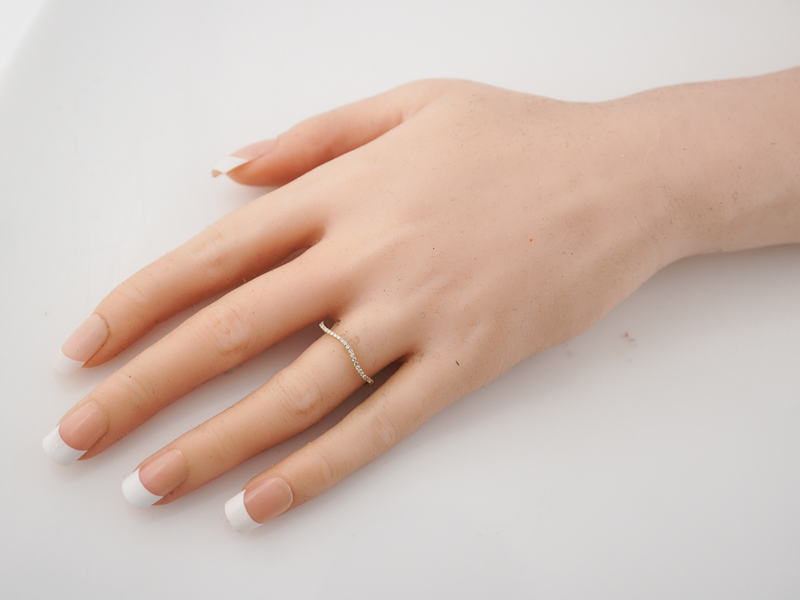 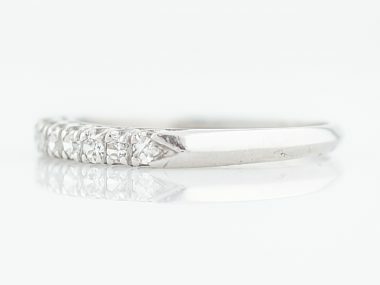 The slight curve in the band allows for an easy fit around most engagement rings. 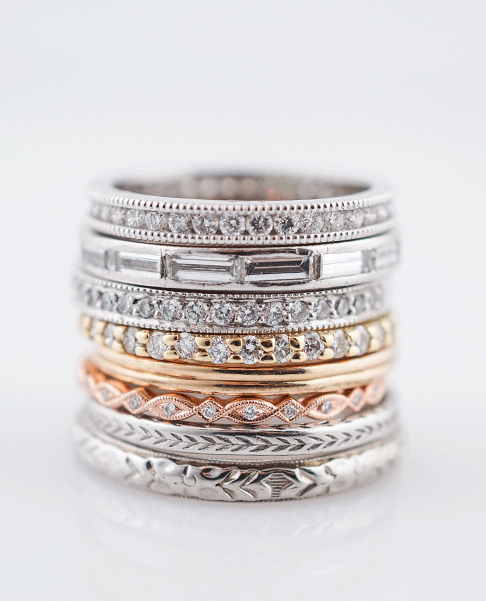 A curved band can also be a great addition to a stack of bands.